Spain is well known for being an ideal holiday destination, with a number of beautiful rural villages that are ideal for tourists, as well as culturally and socially rich cities, so there truly is something for everyone. When it comes to wanting more out of a holiday, be it culture, memories or just a day or two sitting back and relaxing, Granada in the South of Spain is a beautiful place to be. 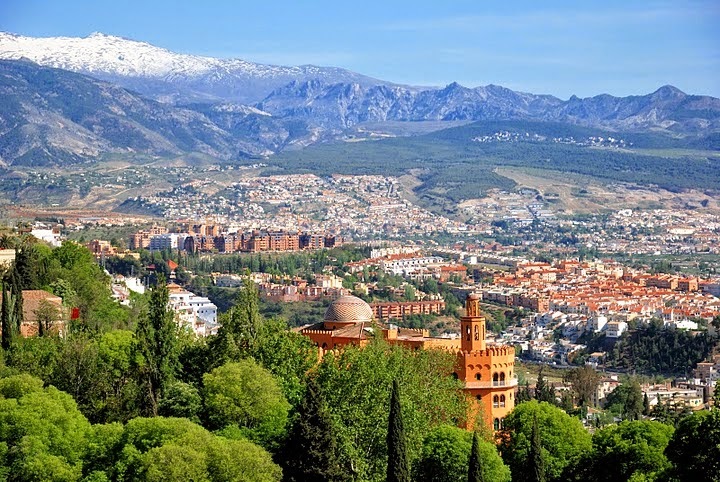 Granada is an excellent city to visit to learn about the fantastic multicultural history of Spain, as well as sampling some of the delightful food and drink there is to offer. Plus with warm summers that are not uncomfortably hot due to a lack of humidity, Granada is an ideal location for a holiday in the sun. Although not unbearably hot, you will find that many of the locals will head further south to the coast or will generally retreat indoors during the hottest month of August. If you are less of the ‘sun and sand’ type tourist, Granada has a lot to offer in the way of culture in Spain. Plus, it is recommended that you traverse Granada on foot, as it is the best way to get the most out of the city, although you may get lost in its many winding streets from time to time. Much of the city is also pedestrianised from some of the bigger plazas to the areas around the cathedral in the centre. 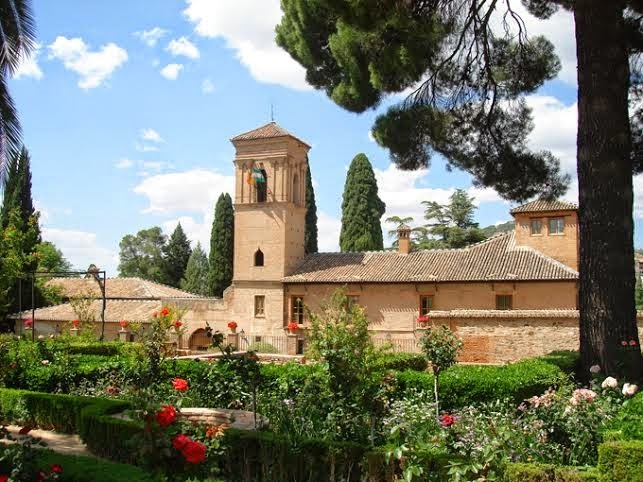 So what is there to see and do in Granada? With a number of local landmarks easily accessible on foot and a range of different foods to try out, there is always something to see to keep you on your toes. Plus with a number of hills dotted in and around the city, you’ll certainly be giving your legs a good work out! Don’t forget that Granada is also gateway to the Sierra Nevada. This amazing ski resort is fabulously unique in its location as under an hour’s drive into the mountains you could be skiing in the winter months and during the summer it’s also under an hour to some of the popular seaside resorts like Nerja. Take a step into one of the many tiny cafes situated along the narrow streets of Granada and you’ll be able to find a number of delicious authentic foods available on the menu. Granada is particularly well known for its iconic tapas, with locally grown and picked ingredients including delicious spiced tuna tostadas. It’s also one of the few places remaining that will offer free tapas with your drink. Being steeped in rich Arab history the gastronomy in Granada also continues to be influenced by Arab flavours and traditions and there are amazing schwarma and kebab cafes in the middle of the city, the best way to end a long night out in one of the cities many bars! If you’re lucky you may even find a Cafe atop one of the frequent hills in Granada, selling cheap cold drinks while you enjoy the view of the grandiose city. In general, meals are not that expensive in Granada cafes, so you can enjoy a good sample of the food culture without having to empty out your wallet in the process. Or if you were a fan of Paella, the La Parrala Paella bar is a well known bar that has a number of good reviews. With specialties for both the locals and the tourists to try, La Parrala encapsulates Granadan culture, with live performances from young flamenco dancers and a large, open spaced restaurant theme that sits up to 70 people. Granada has a number of historical sites to see with countless small churches and cathedrals dotted around the city and a number of traditional bars and market stalls, although there are some iconic places that will make any trip to Granada worth the journey. Even the different parts of the city are amazing different with the Albaicin and Sacromonte being really being Moorish in the architecture and look of the houses. Built specifically for the last Muslim emirs in Spain and famous for its atypical expression of Muslim art when in its final European Stages, a visit to the Alhambra in Granada is not to be missed. It was originally built in 889 and then largely ignored until its rebuild and renovation in the mid 11th century. It fell into disrepair once again until it was rediscovered in the late 19th century and then restored once more. The Alhambra contains a theme of ‘paradise on earth’ and since the 19th century it has become an incredibly popular tourist destination and although it remains fairly plain and unassuming on the outside, inside it boasts beautifully sculpted ceilings and walls with a number of running water fountains and reflecting pools that help to emphasize its beauty. The Moorish architecture that is so apparent within the Alhambra is also evident throughout the city giving it a more exotic and Arabic feel. If you are looking for a perfect location with a great atmosphere, head up the Callejon de San Cecilio, which leads to the Mirador San Nicolas. The Mirador San Nicolas is a lookout which boasts beautiful views of the Alhambra and Sierra Nevada across a luscious green valley. Local student life is bustling here, as are buskers and street performers, although keep a close eye on your personal belongings as thieves are known to operate in these areas. However the Mirador San Nicolas is absolutely stunning when visited at night or at sunset, as the views you see looking out are simply terrific. Originating from Southern Andalusia in the late 17th Century, Flamenco dancing is still a very popular form of entertainment in Granada today. Flamenco developed from a combination of Andalusian and Romani music and styles of dance and was drastically redesigned in the late 19th century, when it began to gain popularity in Spain. In the recent years flamenco has found world popularity and it is now taught in more academies in Japan than there are in Spain itself. However for truly beautiful and iconic flamenco dancing, the Casa Del Arte Flamenco in Granada is second to none for its stunning performances. This art house allows you to see and experience flamenco through some of the best flamenco artists in the world, and with their iconic performance; Spectacle, you will be shown the various different styles of Flamenco through song, music and dancing. The show is around an hour long and hopes to show visitors the passion behind most flamenco dancing. With the recent increase in world-travel holidays, particularly for students, Granada has become more popular with tourists because of its rich cultural heritage. However it is still an iconic holiday for those looking to take a stroll or get lost down a winding alley and the ideal weather in the summer months certainly makes the days long, lazy and carefree. Mike James is an avid traveller and has lived in several regions of Spain including Valencia and Granada. One of his favourite places to visit is the city of Granada as it has so much diversity to offer and something different to see every time. Mike has a property background and often writes about his travels for Panorama Properties, a Marbella based real estate agent.